Socket Compatibility M.2 NGFF 2280. Suggestion: Before installing, remove the SSD specification label will be better. Take out the clean dry and wet bag No. 1, wipe the hard disk bonding surface and the back of the heat sink to wipe the wet, then wipe it off with the No. 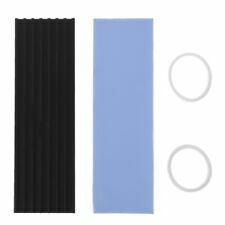 2 dry paper towel, tear the thermal silicone pad 2 transparent film attached to the hard disk, then put the heat sink gently Press and put on a high temperature resistant rubber band. More units currently on backorder. Special orders are available by request for large orders. AM4 mounting bracket and AM4 backplane (for radiator mounting of AM4). AMD CPU fan bracket base for B350 X370 A320 AM4 socket 3 versions 90x54mm mounting hole distance with 4 screws. FIT ANY PARTICULAR HEATSINK. INSTALL AT YOUR OWN RISK. Screw built in for easily install. Install and mounting heatsink and AMD well. Screw Hole Center Distance 7.5 x 7.5cm/ 3" x 3"(L W). Total Size 9.2 x 8.9 x 0.8cm/ 3.6" x 3.5" X 0.3" (L W H). New OEM Corsair AM4 retention bracket and AM4 standoff. For Socket AM2 / AM2 / AM3 / FM1 / FM2. AM2/AM3/AM3 /FM1/FM2 Heatsink Retention Module & Backplate NEW. Double-sided heat sink with 10°C- 25°C cooling effect. 1 Piece Heat Sink. 3 Pieces Thermal Pads. - Material: Aluminum Alloy. AMP Slot 1 CPU Retention Bracket Set NEW. SET OF (2) BRACKETS. MANUFACTURER'S DATASHEET. 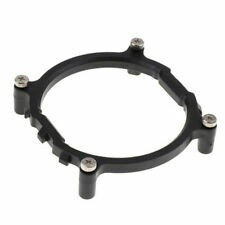 AM4 CPU Cooling Fan Bracket Mounting Cooler Heatsink Holder Base For AM4 Socket 887. For AM4 CPU standard Fan. CPU bracket. Corsair H50, H55, H75, H80i v2, H90, H100i v2, H105, H110i GTX, and H115i. 1 x Retention bracket. This mounting kit is compatible with the following AIO liquid cooling. Fits 2nd CPU Riser for Dell Precision T7500. AM2/AM3/AM3 /FM1/FM2 Heatsink Retention Module & Backplate NEW. This is a complete heatsink retention bracket for socket AM2/AM2 /AM3/FM1/FM2. (4) screws. Lot of (2) Lotes Socket 478 HEATSINK RETENTION BRACKET Module NEW. 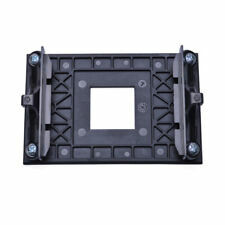 This standard heatsink retention bracket works with any socket 478 motherboard. Manufactured by LOTES. Just pop out the push-pins to use. This bracket allows an SFX power supply to be installed onto a standard ATX case. 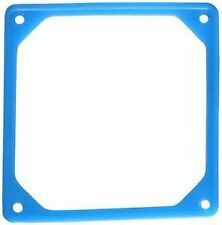 100% brand new and high quality This CPU Fan Retainer Bracket is designed to replace hardware heatsink mounting hardware for your motherboard AM2 AM2 AM3 AM3 940 CPU\'s motherboards It helps relieve the load of the motherboard, prevent from distortion. Excellent replacement for your broken heatsink mounting bracket of your motherboard,so you can keep that CPU safe. Color Black Material Plastic Size Approx.11x8cm/ 4.33x3.15'' Measurements are from hole centers 96mm/48mm Brand Unbranded/Generic MPN GG657472262148 UPC Does not apply EAN 657472262148 Brand Unbranded/Generic MPN GG657472262148. Specially designed for AM4. For AM4 platform ONLY. Type: Bracket for AM4. Applicable: For AM4 platform ONLY. 1 Backplate for AM4. Features: Iron plate, durable, good heat dissipation. Made of high-quality iron. NEW NEVER USED . make Supersized seem small. Get images that. Full Set of CPU Cooling Fan Retention Mounting Bracket Screw for AMD Socket AM2 AM3 940 AM2 AM3. There may be a few very light scratches/scuffs on the plastic ends of the cables and adapters. 4x NA-EC1 extension cables (3x new/unused, 1x used). 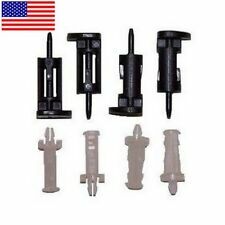 5x NA-RC7 low noise adapters (new/unused). 2x NT-H1 thermal paste tubes (each tube was used once for a small amount, not sure how much paste is remaining). 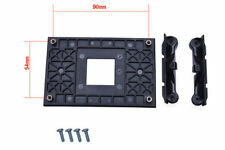 Cooling Fan Bracket CPU retention mounting Black Plastic AMD Stand Base for Socket : AM2 AM2 AM3 AM3 FM1 FM2. Cooling Fan Retention Bracket for Socket : AM2 AM2 AM3 AM3 FM1 FM2. This Cooler Master AMD AM4 upgrade kit can be used to enable selected cooling products to work with the new AMD Ryzen processors. This is designed so that with certain AM4 motherboards, you can mount these coolers above. Support the M.2 NGFF SSD. Support the NGFF SSD type 22x80. Before installing, remove the SSD specification label will be better. Heatsink: 70 21 3mm. 1 X Heatsink. Thermal Pads: 70 20 1mm. 1 X Thermal Pad. Use these Plastic Spring Rivets to replace broken/worn out heat sink/fan mounts. Easy to use! Length: 2.2cm. 1X Heatsink. Heat sink with 5°C- 10°C cooling effect. Add aluminum alloy aluminum alloy heat-dissipating aluminum, which has better heat conduction and heat dissipation performance;. Slim design, only increase the installation height of 1.5mm and the side installation width of 0.5mm;. 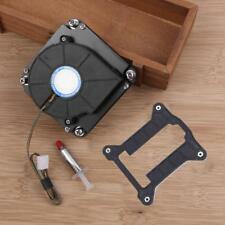 Or Buy Low Profile Fan Complete Kit with Backplate and Thermal Paste. HIGH POWER low profile fan v2. Support HIGH POWER® Low Profile Fan. Fit for AM2 AM2 AM3 AM3 940 CPU's motherboards. 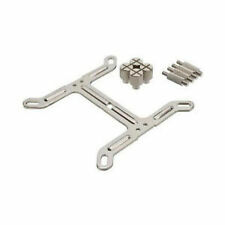 AMD CPU Heatsink Mounting Bracket Kit. Scope of application: PCIE M.2 solid state hard disk (2280). M.2 SSD hard disk radiator. 1 X Heatsink. Material: Aluminium Alloy. Size: 70×22×3mm/2.76×0.87×0.12in (Approx.). Also note that monitor settings may vary from computer to computer and may distort actual colors. Fan Speed: 10000. Heat sink with 10°C- 35°C cooling effect. Siz e: 76x24x6.3mm. Material: Aluminum, Alloy. Trending at $1.51eBay determines this price through a machine learned model of the product's sale prices within the last 90 days. Product: CPU Cooler Fan Holder. 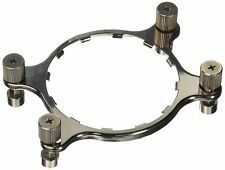 CPU cooling fans bracket. 1 x CPU Cooler Fan Holder. Easy for installation. New Arrival. Motherboard backplate. New, never opened. AM4 mounting kit for Noctua coolers. 1x CPU motherboard backplane. You can follow below process to chontact us. Material: plastic. Import Duties. AUD 1.88 2471 sold. 100% new. Trending at $1.09eBay determines this price through a machine learned model of the product's sale prices within the last 90 days. Aluminum M.2 HDD Cooler SSD Heatsink Solid State Drive Radiator Heat Sink. Continuously cool down, improve hard disk read and write speed, strong cooling to increase SSD life. Support M.2 80 22mm SSD. 1x CPU Motherboard Backplate. Material: Plastic. Weight: 15g.